Recently, I’ve read complaints from a lot of Unity developers about how the engine doesn’t provide adequate support for object-oriented programming and design, with even very experienced developers running into this issue! In my opinion, this problem doesn’t really exist, and I feel as though most of the issues developers are facing stems from some fundamental misconceptions about how the engine is designed, so I’d like to take a moment to try and shed some light on the subject. This is part 2 of a multi-part post. If you haven’t read part 1, I recommend you read it here. Inheritance ≠ Object Oriented Programming. OOP is a programming paradigm designed to make the design and use of a system more modular, and more intuitive to a developer. By grouping related data into objects, it can be treated as a unified collection, rather than a set of scattered elements, and can be added and removed from an architecture in a generic, and nonintrusive way. One of the key concepts behind this is inheritance, allowing us to define “subclasses” of a class in order to extend its functionality.  You can think of subclasses as a specific implementation of a more generic “parent” class, like how dogs and cats were both specific forms of animals in the previous inheritance example. Inheritance is a large portion of traditional object-oriented programming, but the two are NOT synonymous. Object-oriented programming is merely a concept. The principles behind the Object-Oriented paradigm are equally valid with or without formal class inheritance, and can even be expressed in traditionally “non object-oriented” languages, such as C! So why is Unity often criticized as being non-OO? The Unity game engine maintains very tight control over its inheritance hierarchies. Developers are not allowed to create their own subclasses of many of the core components, and for good reason! Take “Colliders” for example. Colliders define the shape of an object for the physics system so that it can quickly and efficiently simulate physical interactions in the game world. 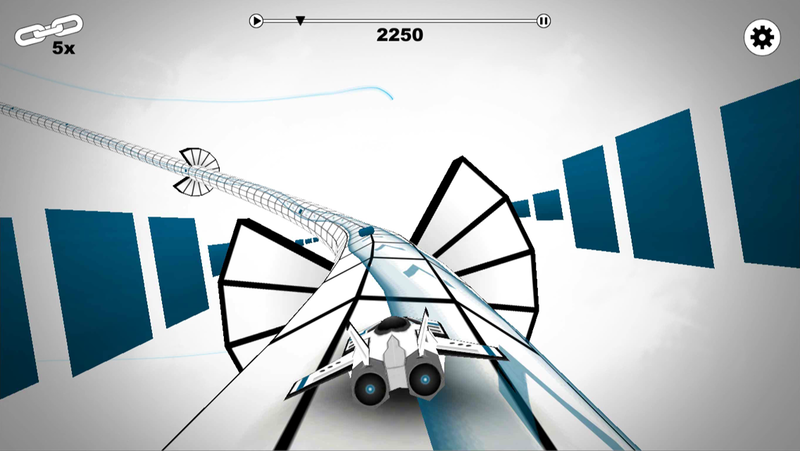 Simulating physics is incredibly expensive, and as a result many shortcuts have been taken to ensure that your game runs as smoothly as possible. In order to minimize the workload, the physics system, (in Unity’s case, PhysX by NVidia), has been optimized to only process collisions on a set number of primitive shapes. If the developer were to add a new, non-standard shape, the PhysX would have no idea how to handle it. In order to prevent this, the kind folks at Unity have made Collider a sealed class, which can’t be extended. Wait, then what can we modify? Let’s look at the component hierarchy in Unity. Yep, that’s it. The only portion of the Unity component hierarchy you are allowed to modify is “MonoBehaviour”.  GameObjects contain a set of attached “Behaviours”, commonly referred to as Components (while it is confusing within the context of the class hierarchy, it makes more sense when considering the exposed portions of the ECS architecture). Each of these defines a set of data and functions required by the constructed entity, and are operated on by Systems which are hidden from the developer. 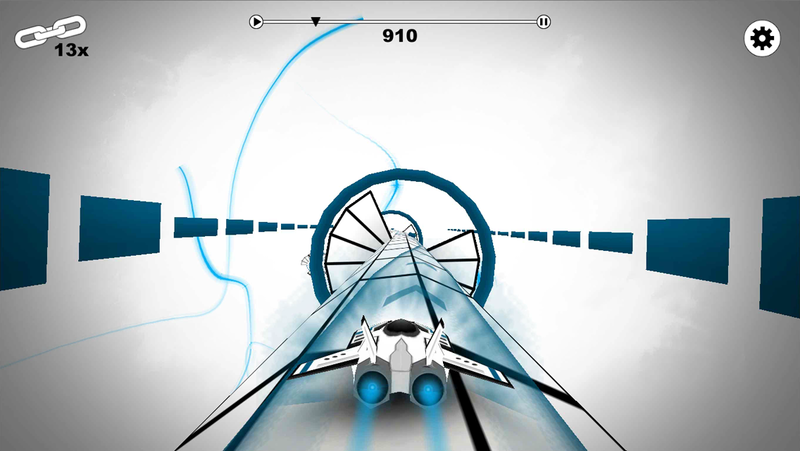 Each System is responsible manipulating a small subset of behaviours, for instance the physics System operates on Rigidbody and Collider components. With this in mind, how can developers create their own scripts and behaviors? Well, that’s all well and good… but what if some of my behaviours need to inherit from others? Inheritance hierarchies work just fine within the context of MonoBehaviours! If we really needed to, we could make our own components, and have them inherit from one another, as long as the root class inherits from MonoBehaviour. This can be useful in some situations, for instance if we had a set of scripts which were dependent on another, we could provide all necessary functionality in a base class, and then override it for more specific purposes in a subclass. In this example, our MovementScript may depend on a control script in order to query input. 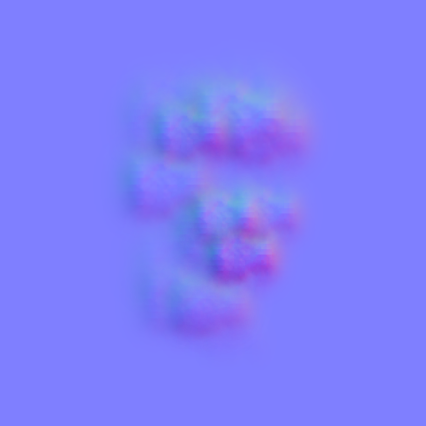 We can subclass a generic control script in order to create more specialized inputs, or even simple AI, without changing our MovementScript. The more experienced among you may recognize that, for this problem, perhaps implementing an interface would provide a more elegant solution than subclassing our control script. Well, we can do that too! There’s nothing special about MonoBehaviours. They’re just a very clever implementation of existing programming techniques! MonoBehaviours sound really cool, but I have data I don’t want attached to a GameObject! Well, then don’t use a MonoBehaviour! MonoBehaviors exist to allow developers to attach their scripts to GameObjects as a component, but not all of our code needs to inherit from it! If we need a class to represent some data, we can just define a class in a source file like you would in any traditional development environment. Now that this class is defined, we can use it anywhere we want, including in other classes, and our MonoBehaviours! Also keep in mind that the entirety of the .NET framework (Version 2.0 at the time of this article) is accessible at any time. You can serialize your objects to JSON files, send them to a web-server, and forward the response through a socket if you need to. Just because Unity doesn’t implement a some feature, doesn’t mean it can’t be done within the engine. This post demonstrates a few examples of how data can be handled outside of the MonoBehaviour system. This post is continued in Part 3, where we will recap a few points, and conclude this article. Unity Engine Architecture, and Composition vs. Inheritance. The Unity game engine represents the “physical” world of your program using an Entity Component System architecture. Each “object”, be it a character, a weapon, or a piece of the environment, is represented by an entity (referred to as GameObjects in the Unity engine). These entities do nothing on their own, but act as containers into which many components are placed. Each component represents a functional unit, and dictates a specific subset of the behavior of our object. Lastly, Systems act as a higher-level control system, which act on entities to update the state of their components. ECS has become increasingly popular in the game development world, as it provides some key advantages over more traditional architectures. Components are completely reusable, even across objects with dramatically different behaviors. Components provide near infinite extensibility, allowing new behaviors to be added to the game without touching any of the existing code. Components can be added and removed at run-time, allowing for the behavior of objects to change while the application is running, without any significant effort. The entity component architecture embodies the principle of composition over inheritance, a relatively new programming paradigm which favors the structure and composition of an object over a hierarchy of inheritance. This is especially helpful when building a large application like a game, which requires many things to share large amounts of very similar code, while still being different in sometimes hundreds of ways. Imagine we have a client who wants us to write a game about animals! Let’s represent a dog, and a cat in our code. The immediately intuitive solution would be to make a superclass called “Animal”, to contain the commonalities of both cats and dogs. That’s fantastic! Look, we just saved having to duplicate all of the code required to give our animal ears, legs, and a tail by using inheritance! This works really well until your client asks you to add a squid. Ok! Let’s add it to our animal class! Unfortunately, squids don’t have ears, or really much of a tail. They’ve also got 10 limbs, so our class hierarchy will have to change a bit. Let’s add another superclass, this time separating cats and dogs into their own group. Ok, there we go.  Now the things shared across all animals can be separated out, and our dog and cat can still share legs, a tail, and ears! Our client liked the squid so much, he wants us to put in other ocean animals too! He asked us to put in a fish! Well, both fish and squid swim and have fins, so it would make sense to put them together… but fish also have a tail, and right now, a tail is defined as a part of mammals! Oh no! Suddenly, our hierarchy doesn’t look too good! While it makes the most sense to put animals into groups based on their defining characteristics, sometimes characteristics will be shared across multiple different subtrees, and we can’t inherit them from a parent! Rather than defining our animals as a hierarchy of increasingly specific features, we can define them as individuals, composed of independent component parts. Notice that we still don’t have to duplicate any of our code for shared features!  Attributes like legs are still shared between dogs, cats, and squids, but we don’t have to worry about where fish fit into the picture! This also means that we can add any animal component we want, without even touching unrelated animals! If we wanted to add a “teeth” component, we could attach it to dogs, cats, and (some) fish to provide new functionality, and wouldn’t even need to open the file for squids! This model also allows us to add components at run-time to change functionality. Let’s say we have a robot. This robot normally attacks the player on sight, and does generally evil things. It’s pretty complicated too! The robot can move around the game, use a weapon, open doors, and more! What happens when our player hacks this robot character to be a good-guy? We could make a second type of robot, which can do everything the evil robot can, OR we can remove the “robot_AI_evil” component, and replace it with “robot_AI_good”. With the AI component replaced, our robot can help us and still do everything the evil robot could. If it’s well designed, it could even display more complex behavior, and use abilities it typically would use against the player to help defend against other robots! Know that inheritance isn’t a bad thing, in fact we to use it to define our body part components, but understand that in some situations, other paradigms may be more useful! This post provides a cursory look at the Unity engine’s general world representation, as well as a cursory look at some of the potential benefits of the “composition over inheritance” principle. This post is continued in Part 2, where we will look at MonoBehaviours, and their role in the Unity engine.